Thank you so much for the mention! I love your atmospheric photographs, capturing the spirit of those carefree days. 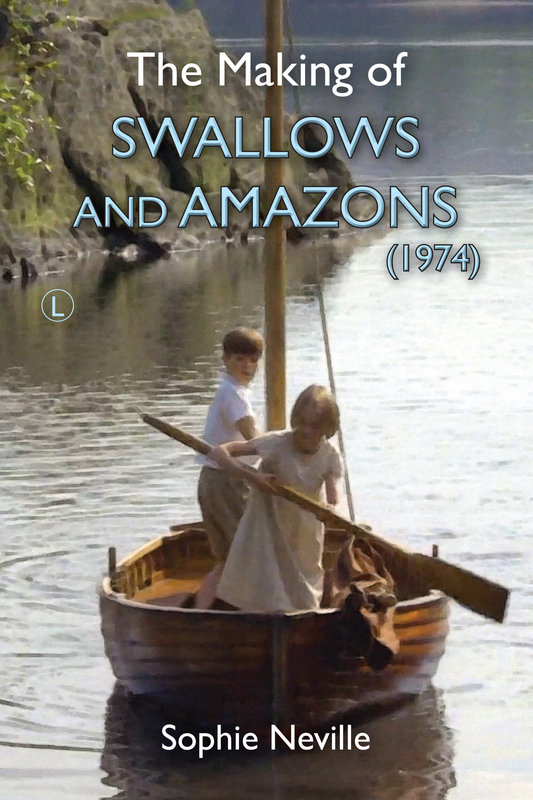 By the way, ‘Arthur Ransome on the Broads’ is due to be published in the spring by Amberley Publishing in full colour. 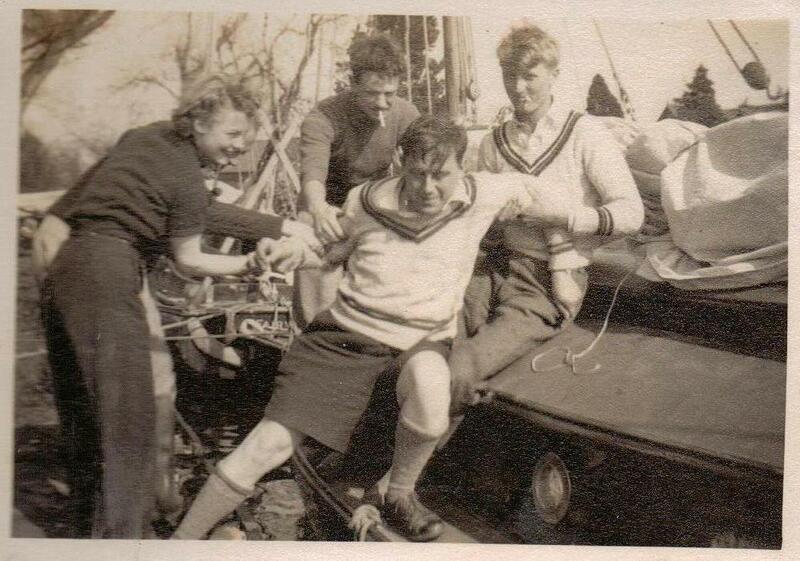 It tells the story of AR’s half a dozen or so holidays on hired yachts and of the youngsters who sailed in his fleet in the 1930s, as well as the story of Coot Club and The Big Six. I spent six days last summer trying to find places AR visited that had NOT changed, for the pics. VERY difficult. If i had known about your 1930s pics, I would have come begging, but I fear the book is too far down the line by now. Keep up the fascinating story, please. My mother-in-law’s photos were taken in 1939, at Easter time. It is so poiniant to know that all those young men were soon invollved in the war. I must ask her the details. She joined MI5, working as a secretary at Wormwood Scrubs when they were given offices in the cells. They were later moved to Blenheim Palace. Having looked at those 1930s photos again. The yacht in ‘Breakfast’ looks identical to the ‘Fairway’ class that was Ransome’s favourite Broads cruiser. Another detail: the line of moored yachts looks like a photo I have seen of Ransome’s ‘Northern River Pirates’ that Magnus mentioned, who were also sailing at Easter 1939. If not ‘Fairways’, then they were most probably from the Hunter’s Yard (Ludham) fleet of mahogany hulled cruisers. Hunter’s ‘Lullaby’ had a false transom fitted and became ‘Teasel’ for your filming. I photographed the transom and also ‘Titmouse’ that is kept in their yard for the book last summer, and have tried to unsuccessfully to post here. If you could email me your email address I will send so that you can post. Thank you so much. I’d love to include your photosgraphs on the Blog. People always ask – ‘What are they doing now?’ You must tell me how to accurately describe how the Ludham yachts are rigged. I have a few secrets yet to post! Grannie’s photos are all tiny. She has some larger ones of sailing from Seaview that are lovely – you could publish them in Vogue. Do contact me if you need them for a book on Peter Duck. Most of the yachts in the hire fleets, including Hunter’s, were/are ‘gunter-rigged’. That is a having a gaff mainsail with a high peak, and a jib. ‘Lullaby’/’Teasel’ is a good example.There is a good scene in the film when ‘Teasel’ is seen in close up as Tom defies the wreckers of Yarmouth. Many of the yachts had a ‘self-acting’ jib, which according to Ransome was too large, so that there were times when he lowered his and sailed better without it! Thanks so much! I remember now: a gunter rig. Do you simply call Lullaby a Hunter’s Yard yacht? Strictly speaking she is a 4-berth ‘Lustre’ class yacht built in 1932 and operated by the Hunter’s Fleet. Her youngest ‘sister’ was built by Hunter’s Yard in 2001. There are 14 sailing cruisers in the fleet and none have an engine and all are available for hire! They are truly beautiful yachts. i was lucky enough to be invited to sail one of the ‘sisters’ on Barton Broad a few years ago. Magic! Am I right in thinking they have three berths? Is there any kind of galley in them? Sorry – you did say 4-berth. I was thinking of the description in your last book!